Michael and I went to my first en primeur wine tasting, arranged by Cambridge Wine Merchants, tasting 2010 Bordeaux. The 2010 is a good year for laying down, apparently, as there is ‘rich tannic structure’ in the wine, and good acidity and fruit. The tasting was in The Kennedy Room at the Cambridge Union, which was a good room to stuffed full of wine. There was a great seelction of 80 wines: six white/rose; three sauternes and the rest reds. I found the tasting part really difficult. I’m not very good at spitting at tastings and this wine was too young to drink, so out it had to go. I tended to like the wines that would be good drunk younger because they tasted closer to being ready. The wines with the strong concentrations of fruits and tannins I found hard to judge and get a measure of. We tried a £50 a bottle (not expensive for Bordeaux) Châteaux Marlartic Lagraviere (Pessac-Leognan) which was intense, dark and packed full of tannins and flavours but I couldn’t tell what would happen next. So some tasting experience of the ageing process would help for next time (but maybe not at £50 a bottle!). My favourite wine of the evening was Châteaux Marquis de Terme (margaux) which was complex and long, with some warm spice and felt very classy. It has good tannin for ageing. A case would have cost about £340, so it’s not something I would have enjoyed gambling with. On the more affordable side, I liked the Châteaux de Ricaud (Cotes de Bordeaux) which was spicy and peppery and low on tannin. I also liked the Châteaux Clos Floridene Rouge (Graves) with hints of aniseed, but Michael didn’t like this one at all. My palate quickly got overwhelmed with all the young wine and the huge variety (that I probably tried too quickly) Our teeth were black and a we had stained hands and lips. What a sight! No wine purchased (as yet). Great to try it though. 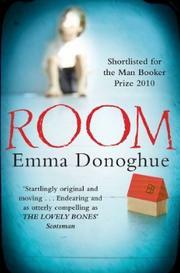 Christine lent me Room by Emma Donoghue, after we had both read The Lovely Bones. Room has a similar feel with a (younger) child narrator, but who grows up for five years in a single room with his mother, who was abducted as a teenager and kept hidden. I found the plot far more interesting after they were freed from the room, but the careful detail of how they lived/survived in the room in the first part of the book is important for the success of the second part. The end of the book was a complete surprise for me and I found myself suddenly in tears. I wasn’t expecting that! I enjoyed this as a page turner: after reading this and The Lovely Bones I need to tackle something a bit more challenging (thinking Gargantua and Pantagruel by Rabelaise). Omar and Peter introduced us to this lovely Italian Restaurant yesterday. Close to Piccadilly Circus and with a great regional Italian menu. The food was lovely, and the atmosphere warm and welcoming. I enjoyed the way the menu was split into regional specialities. Peter had the Shaved radish, celeriac & pecorino salad with pomegranates & truffle oil, which looked lovely, and I really enjoyed the Nettle & borage pansotti with walnut sauce. The scallops for main were good, perhaps could have been caramelised a bit more. Michael’s Baccalà – home made salted pollack & courgettes came in batter (which was a surprise). Zabaglione was amazing (apparently). We ate again at John and Andrew’s local bakery and met John on the S-Bahn platform. He took us all the way to Haupbahnhopf to see us off, which was lovely. Andrew is in bed with my cold 🙁 We were then on the ICE 640 to Köln which takes about 5 hours. The train made an unscheduled stop soon after Berlin, for the police to check out a suspicious piece of abandoned luggage. Bärlaucheintopf mit geflügelklößchen und grünem spargel for lunch in the smart buffet car on the train after Hanover. We were served by a rather miserable waiter, but the food was good and a spargel-fest. A fire on the line made us 17 minutes late and our connection to Brussels was held, so we had a quick dash across the platform onto a busy train. A lovely two hour journey into Belgium and then into the less-than-lovely Brussels Midi station. A spargel quiche this time! Chaos for the Eurostar with the bank holiday crowds and, after much queueing, we were off, 10 mins late. Not a very pleasant experience there or in the buffet car. Met John and Andrew for a tasty brunch at Inox restaurant round the corner from their apartment. We sat outside which was lovely in the sun, but got a bit nippy once we ended up in the shade. Took the train to Kuotbusser for the MyFest (1st May) celebrations, centred around Mariennplatz in Kruezberg. The street were packed (and the predicted riots took place after the festival in the evening). During the day, it was a good atmosphere and we wandered through into Mariennplatz to sit in the sun for a while. On the train again from Ostbahnhof to the Zooligischer Garten in Schöneberg where we stopped to look at the gorgeous Kaiser-Wilhelm-Gedächtniskirche church on Breitscheidplatz. There is a bombed-out tower of an impressive opulent church (1895) with glittering fine gold mosaics. The tower is currently encased in an ugly plastic shell and this all sits between the ‘powder puff and lipstick’ of a modern church added in 1961. The modern church hall is octagonal with stunning, midnight-blue glass walls. We couldn’t get into the similarly designed bell tower (lipstick) which had an incongruous tatty fair-trade shop filling the ground floor. Relaxed with a long drink at Maxxx Berlin sitting in the afternoon sun. Then a wander around the gay area of Schöneberg, looking in the windows of RoB and Sling King. Lots of leather shops too. It was pretty quiet and we finally settled on Windows Bar on a street corner for another drink. Another stroll to Viktoria-Luise-Platz for dinner at Potemkin. I tried some Berliner weiße grüne (sweet weiße beer, flavoured with syrup, tasting of vimto but green in colour). The popular dish seemed to be borscht. I enjoyed massive blinis with salmon roe which were lovely. The train back to John and Andrew’s took about 40mins.